Scotland’s largest city, Glasgow is an economic and property powerhouse which generated £19.6 billion Gross Value Added (GVA) in 2015, the greatest of any Scottish city. It had the fastest growing economy in the UK 2013-14 (ONS), significantly outperforming all other UK core cities, and is set to grow by 7.2% by 2022. 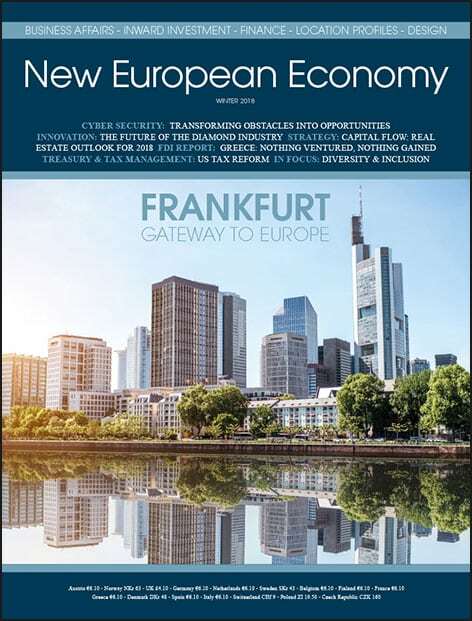 The city’s buoyant economy is founded on a diverse set of sectors which include digital technology, financial and business services, life sciences, low carbon, engineering, advanced manufacturing and design, tourism and major events, and the creative industries. This very diversity has been the key to the city’s economic resilience, through the impacts of global recession, and growth in recent years. A wide range of digital tech sectors are represented in the city, from fin-tech and e-commerce to social networking and enterprise software. • Power Networks Demonstration Centre (PNDC). In recent years, Glasgow has seen the emergence of sector clusters, notably in life sciences and financial services Life sciences The Glasgow BioCorridor contributes significantly to the Scottish life sciences offer. From 2008 to 2012, the area was third in the UK for attracting life science foreign direct investment projects (FDI Markets, 2013). A number of leading global companies are established in Glasgow and the wider BioCorridor: GlaxoSmithKline, Thermo Fisher Scientific, BioOutsource and Vascutek. More than 10,300 people work in life sciences in the Biocorridor for some 230 life sciences companies, this comprising 4 per cent of Scotland’s total number of life science enterprises and 50 per cent of Scotland’s medtech companies. A critical mass of companies together with a dynamic, skilled labour force is present in the region where labour costs are significantly lower than London and Cambridge. The University of Glasgow and NHS Greater Glasgow & Clyde have developed infrastructure to provide a focus for innovation and industry collaboration at the new Queen Elizabeth University Hospital Campus. Uniquely situated in the centre of the hospital campus, dedicated facilities have been created for the pharmaceutical industry and SMEs to engage with clinical academics and NHS clinicians. • the UK’s largest MRC-funded Molecular Pathology Node (£3.4 million), focusing on the development and delivery of molecular diagnostics in partnership with industry. These facilities will benefit the life sciences sector in general, notably in diagnostics, imaging, informatics and precision medicine, but also the supply chain of CROs and laboratory suppliers. 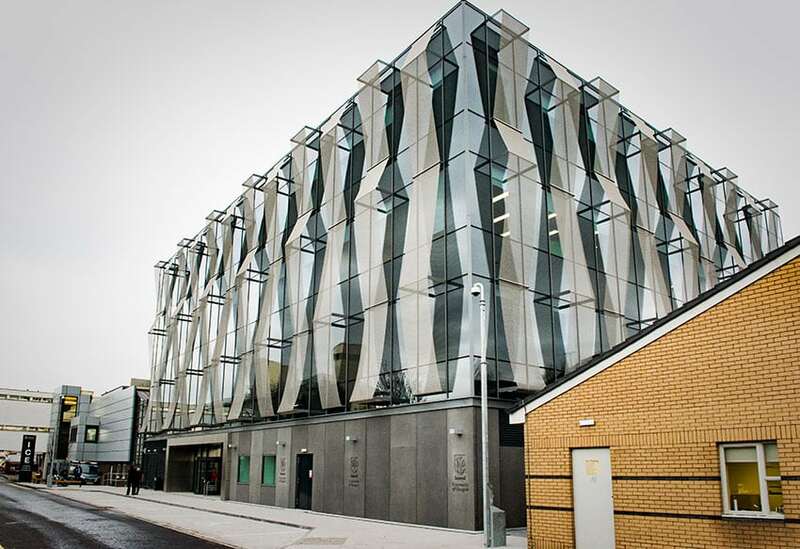 The unique strengths of Glasgow’s collaboration with industry at the QEUH has resulted in numerous accolades in recent years, not least of which was Innovate UK’s decision to locate the Scottish Centre of Excellence of the UK Catapult for Precision Medicine at the QEUH, adjacent to the Stratified Medicine Scotland Innovation Centre. Glasgow’s International Financial Services District (IFSD) is a highly successful example of a cluster maximising growth. The IFSD has created an extremely attractive environment for indigenous and overseas firms in finance and related sectors. 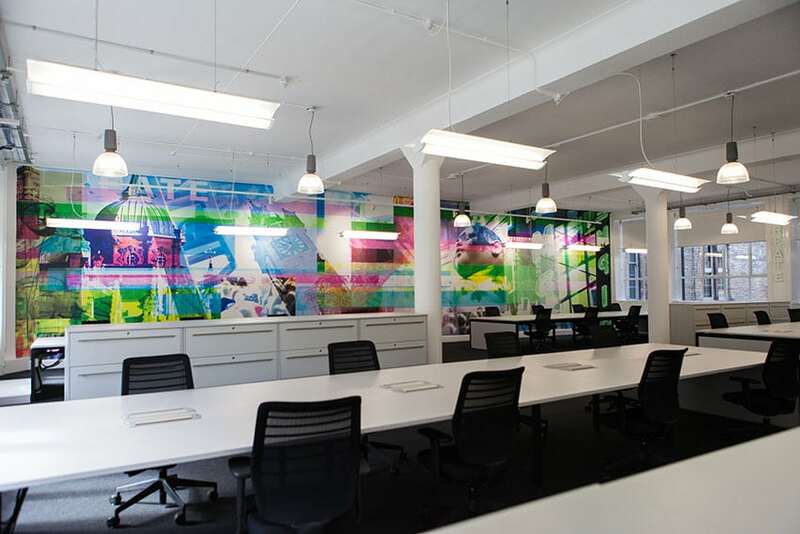 As a pre-equipped business area, it is designed to allow fast track occupancy by financial firms seeking a new UK location for their operations. The IFSD project is driven by a partnership between the public and private sectors. Over £1 billion investment has been secured to date, over 90% from the private sector, creating more than 3 million sq ft of top quality Grade A office space. Since the launch of the IFSD, over 15,500 net new jobs have moved in to the District through new investment, expansion or diversified development. This includes companies such as JP Morgan, esure and Morgan Stanley which have moved into the district and existing employers such as Barclays and BNP Paribas which have expanded their operations substantially. 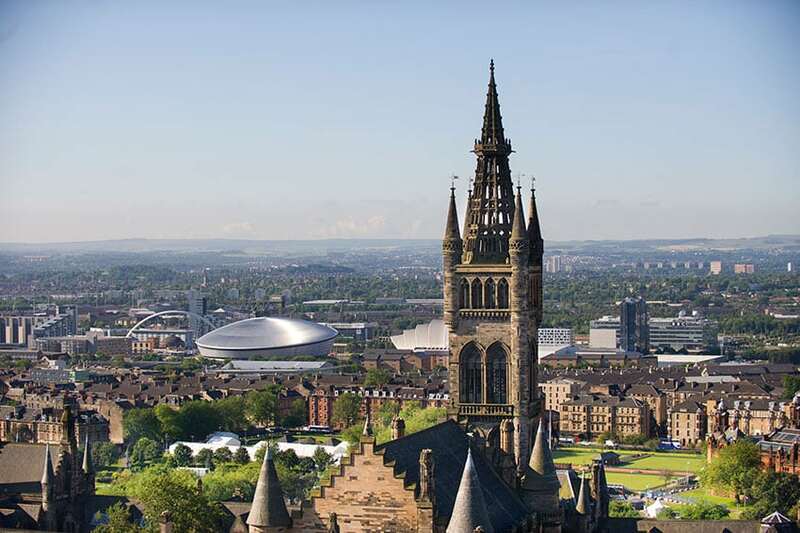 Glasgow has a strong cluster in dedicated technology operations for the financial sector with companies benefiting from a pool of high quality computing science and software engineering graduates produced by local universities. Glasgow offers a high quality pipeline of staff to employers in the IFSD. Each year, 30,000 students study related subjects at Glasgow institutions. This includes three of the UK’s top business schools at Strathclyde, Glasgow and Glasgow Caledonian Universities. Innovation districts The city centre is set to be home to Scotland’s first innovation districts. The City Centre Innovation District will be anchored around the University of Strathclyde’s Technology and Innovation Centre, Scottish Enterprise’s inovo building and the Tontine Building, a City Deal funded, newly-refurbished building in the Merchant City for high growth start-ups in enabling technologies and the creative industries. It will host one of the newest sectors to emerge in Glasgow, digital technology, which supports some 26,000 jobs, the highest number of any Scottish cities, with advertised digital salaries of £48,000. The sector has achieved a digital GVA average of £591 million (2013-15), also the highest in Scotland. A wide range of digital tech sectors are represented in the city, from fin-tech and e-commerce to social networking and enterprise software. Space technology is also developing in strength with a number of new businesses establishing in Glasgow including Spire, Clyde Space and Alba Orbital. The University of Glasgow West End and Waterfront Innovation District is being developed around a new £1 billion campus which will transform that part of the city into a globally recognised iconic place of learning through the redevelopment of 1.3 million sq ft of academic and commercial space. Excellent value for money Should all of the above not whet the appetite, Glasgow is one of the most cost competitive cities in the UK where labour costs can be up to 12% lower than Edinburgh and 33% lower than London. In addition, property costs can be up to 4% lower than Manchester, 5% lower than Edinburgh and 75% lower than London (FDI Benchmark for running a BPO Centre) with prime office yields at 5.55 in Q4 2016 (Cushman & Wakefield).